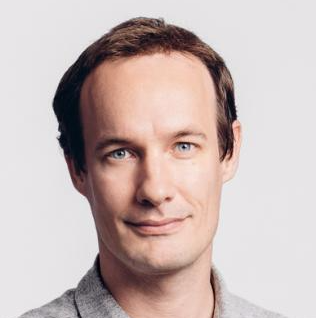 Joris Luijke has lead the People Teams of fast growing software companies including Atlassian, Squarespace and currently at Typeform. I hope that when our employees are long retired and they find themselves sitting peacefully on their porches, rocking back and forth in their chairs and reminiscing about their careers, they remember Squarespace as the greatest time of their working life. That is my goal. Firstly, they have experienced an environment where they were able to do their life's best work. Our People team works extremely hard to create a fantastic working environment. Secondly, they need to remember that great experience. Hang on... Don't we generally remember good things? Unfortunately, we don't. It's surprising how quickly we forget great things that happen in our lives. Had fun at your company holiday party? It's quickly forgotten when we get back to work on Monday. The joy of creativity and productivity on a project? Soon forgotten when progress has slowed. The feeling of the warm sun on your skin when holidaying in Mexico? That memory also evaporates quickly when you return home a few days later. Maybe you actually do remember one or two of the things listed above. If that is the case, it will most likely be because something 'surprising' happened that sparked your memory. You would have definitely remembered that company party if your manager was breakdancing on the dance floor. And you would still remember the sunshine of that Mexico beach if your friend surprised you with a massive cocktail served in a coconut. When something surprising happens, you create a memory that is much clearer and longer lasting. When something unexpected and surprising happens, it heightens our sensory awareness, releases dopamine (the brain’s positive, happy chemical), and stores the memory of that event more robustly. In the same way that hearing your favorite pop song from long ago brings back memories of high school, a surprise can help us remember an event that happens at work. Why is this important for us HR folks? We invest a lot of time, energy and money in creating a wonderful and inspiring work environment, and great things ought to be remembered. That's why we want to constantly surprise our people. To do so, we rebranded our office administration team to become the Experience Team, whose mission now includes the creation of positive and surprising experiences for our people. These experiences can be small, like surprising people with ice-cream on a hot summer day, or organizing unannounced in-office events, sending new parents a big baby-basket, or ensuring that everyone is supplied with a gift to take home on Valentine’s Day. The Experience Team also works hard to create larger events for employees to celebrate their work and each other. Our recent ‘Friends and Family Day’ was filled with surprises for the kids and grown-ups. We also aim to empower our managers to surprise their teams more often. We encourage them to take their teams out for a meal or a group activity at least once per quarter. We have developed an online portal where managers can easily arrange a team event or select from a menu of prepared Team Outings. One of the options actually reads: “Surprise yourself!” meaning that the whole team, including the manager, do not know what the outing will be. The Experience Team organizes the rest! Lastly, we get people to surprise and recognize each other. One of the most wonderful forms of surprise is appreciation when you’re least expecting it. We’ve created a simple online workflow where ‘Cheers’ requests are submitted. Anyone can surprise and recognize their colleague for doing something awesome or working tirelessly on a difficult project, by selecting a gift: threadless t-shirts, beautiful prints, movie vouchers, and more. Alongside the little surprise, the giver writes a note on a ‘Cheers’ card to put on their colleague's desk. Introducing surprises at work not only bring joy, it has a lasting impact on the way that people remember their work-experiences. If you want people to remember, seek opportunities to inject more surprises in your normal work routines. Can you introduce something really surprising during your new staff on-boarding process? Are there opportunities to add real surprises when recruiting new staff? What about your leadership training programs, your performance reviews, your office lunches, your holiday parties, your employees' life events, your staff's promotions, your recognition models, your work? I guarantee that when you create spontaneous, different and surprising experiences at work, your team will feel appreciated and will actually remember your hard work! Feb 28 Got Coding Standards? Now try Leadership Standards.